Lots of news this episode! For full details, watch the podcast. Adobe Camera Raw gets a new look with version 9.5, now available. REVL has launched an Indiegogo campaign to create a 4K action camera with an integrated motorized gimbal. Tamron has announced pricing for its 85mm F1.8 lens (come see it at the Tampa Bay Photo Shootout!). Google's NIK collection is now free! Lexar has relaeased a new SDXC card with a capacity of 200GB and read speeds up to 95MB per second. LRTimeLapse 4.6 has been released and is a free upgrade for current owners.. Sony is considering splitting off its imaging products business. Finally, the future of Yahoo and its operations such as Flickr is uncertain. 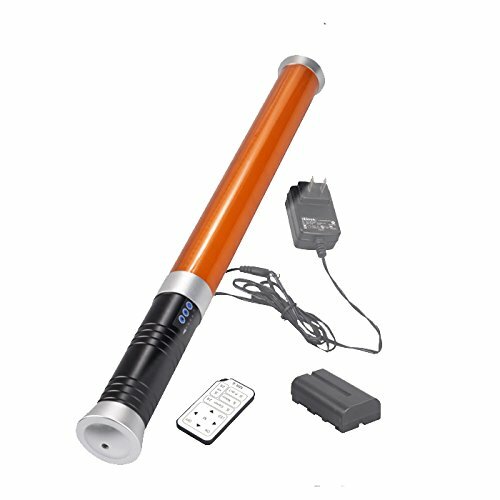 In the last Fotobug podcast, Fred and Jim mentioned the Polaroid branded LED light wand named "BrightSaber". Jim discovered that many companies have offered the same or similar unit for less money. So, he purchased one and Jim and Fred put it up for review. The unit test comes with an AC adapter/charger with 3 plugs for US, UK and European style electric sockets, 2 batteries, a CTO filter, an IR remote and a carrying case. The united test cost about $35 less than the BrightSaber. Jim and Fred were impressed by the build quality of the unit as well as the inclusion of 2 batteries. In use, the unit has 10 levels of brightness - and the 228 LEDs put out a great deal of nice soft light. The wand also has a 1/4 20 thread hole in the handle to allow it to be mounted to a light stand or tripod. Jim and Fred were less impressed with the strobe modes (one flashes SOS!) - and didn't see a practical use for those. Jim also showed off a set of barn doors which will work with these units. This is your last chance to sign up for the Tampa Bay Photo Shootout taking place on April 8, 9, and 10 where you can see one of these light wands for yourself as well as check out and use a Tamron lens of your choice - www.thephotoshootout.com . Stay tuned next time for highlights of the Photo Shootout! Don't forget, the Camargue, France workshop at www.outdoorphotoworkshops.com.